James Mitchell Varnum was born in Dracut, Massachusetts. 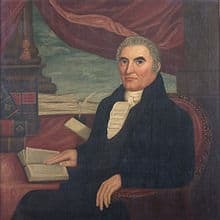 As a young man he matriculated at Harvard College only to transfer to the College in the English Colony of Rhode Island and Providence Plantations (later named Brown University), where he graduated with honors in 1769. In Rhode Island he met his future wife. Along with Nathanael Greene he served in the Kentish Guards. 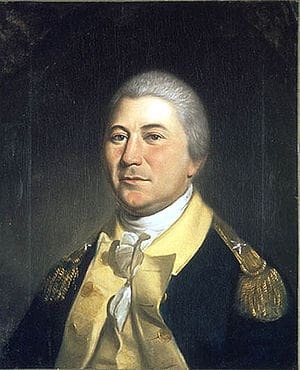 He served as a brigadier general in the Continental Army during the Revolutionary War, serving from 1777 until 1779. Varnum advocated allowing African Americans to enlist in the Continental Army, which resulted in the reformation of the 1st Rhode Island Regiment as an all-black unit. Varnum was a disciple of General Charles Lee and a serious critic of the position of Inspector General held in 1778 by Baron Von Steuben. After Varnum resigned his Continental Army commission because of personal business matters, he was appointed major general of Rhode Island militia. He led troops in the service of the United States in July and August, 1780, under the Comte de Rochambeau who commanded allied troops sent by King Louis XVI of France. General Varnum served at the siege of Boston, the battles at Long Island, White Plains, Red Bank, at Valley Forge and the battle of Rhode Island. 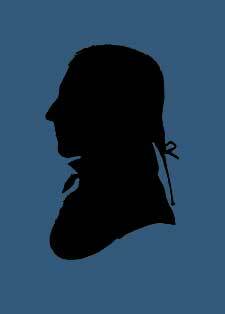 Varnum was an original member of the Rhode Island Society of the Cincinnati and served as president of the Society from 1786 until his death in 1789. 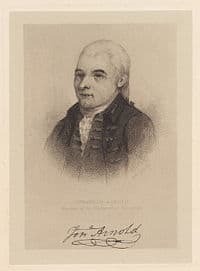 He later represented Rhode Island in the Continental Congress (1780–1781 and 1787). After the Revolutionary War, along with General George Washington, Nathanael Greene, Henry Knox, Thomas Pinckney, Charles Cotesworth Pinckney and several others, he became a founding member of the Society of the Cincinnati. General Varnum’s home, the Gen. James Mitchell Varnum House in East Greenwich, Rhode Island is a tourist attraction today. Varnum’s brother was Speaker of the United States House of Representatives Joseph Bradley Varnum.